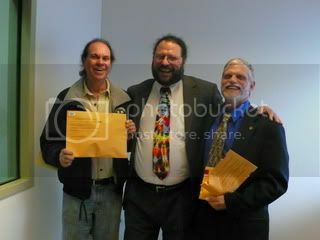 Bruce Margolin, an excellent attorney and movement supporter, represented me. First, District Attorney, Republican candidate for California Attorney General and anti-medical and recreational marijuana prohibitionist, Steve Cooley, wanted me to plead guilty to the misdemeanor of the possession of under an ounce. My response: I WANT A JURY TRIAL. In the meantime, Governor “I Like Pot” Schwarzenegger signed SB1449, which made marijuana possession of under an ounce an infraction, not subject to a jury trial or arrest. My case would have been one of the last small possession cases that could go to jury trial. I thought about this case a lot, and then I came up with a strategy after talking with Bruce. If I were to go to trial and win, we would set no precedent. But, if we went to trial and lost, then won on appeal, it would set precedent. In fact, it would possibly set two precedents. One, an expired doctors recommendation that indicated a chronic condition, was still valid. The second, was that state authorities had no right to interfere with intrastate transport of marijuana with a medical recommendation. My former doctor, Beverly Mikuriya, who trades on her late brother’s (Dr. Tod Mikuriya’s) good name as an activist in the movement, by selling high priced recommendations ($200 and up) refused to stand by me when called to verify. Based on my experience with Dr. Beverly Mikuriya, I could not in good conscious suggest that anybody obtain a recommendation from anyone in her office. Further, the office is run by rude, crude and ignorant people who have no respect for their clients. However, we had the able help of my current doctor, Dr. William Courtney instead. After a brief discussion with the prosecution about our strategy and our plans of publicizing our decisive win over blow-hard Cooley, the prosecution folded and dropped the case. My next step? GET THE POT BACK! THIS WILL NOT BE THE FIRST TIME! (…Obama? Want a hit? #marijuanadeficiencysyndrome). As bad as Democratic Attorney General Candidate (Steve Cooley’s) opponent, Kamala Harris, she is a far better choice for those who love their liberty. I didn’t want to, but even I felt obligated to vote for her on my absentee ballot.